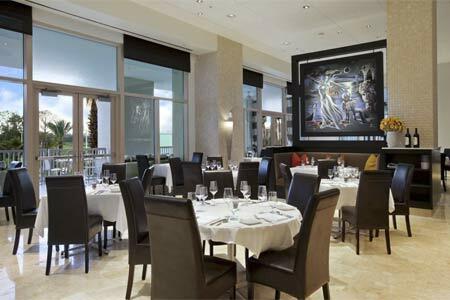 Traditional Italian fare crafted with locally sourced products at Hilton Orlando Bonnet Creek. : The late chef Donna Scala made a name for herself in Napa Valley with a seasonal approach to traditional Italian cooking. And when the Hilton Orlando Bonnet Creek lured her East to open an outpost, she sent her team on the road to find locally sourced seafood, meats and produce. And while the La Luce menu doesn’t specifically list food sources, the freshness shines through. Make a meal of starters such as fritto misto, a plate of crisply fried calamari and rock shrimp with fennel, onions and green beans; a traditional insalate with arugula, endive and radicchio; or a plate of freshly sliced beef carpaccio topped with capers, arugula and Parmigiano. Classic pizzas (margherita, hot Italian or formaggio) or pastas such as lasagna, fettuccine, ravioli and bucatini are worthy main courses. But it’s nicer to share and then order grilled Berkshire pork chop, lamb meatballs or a simple seared salmon filet. Whatever your decision, consider the sweets: tiramisu, hot ricotta fritters and butterscotch pudding. The sophisticated dining room feels as fresh as the food: light, white on white, pastel art on the walls, cool stone floors and crisp white linens. It’s the summery sort of environment to start with a cocktail, such as Italian Kiss or non-alcoholic cucumber fresca. Wines are by the glass, half bottle or bottle, with a solid old-world and new-world selection.